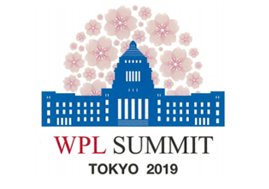 The 2018 WPL Summit will be held under the patronage of Her Excellency Dalia Grybauskaitė, President of the Republic of Lithuania, and in cooperation with the Council of Women World Leaders, a unique network of current and former female Presidents and Prime Ministers. 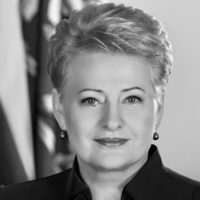 Dalia Grybauskaitė is the first female president of Lithuania, elected in 2009 in the very first round. She is also the first president to be re-elected for the second consecutive term in 2014. 2018 is a landmark year of political anniversaries as Lithuania celebrates 100 years of the restoration of its state and the centenary of women’s voting rights in Lithuania. Historically, Lithuania has numerous documented milestones leading to women empowerment and equality. As early as in the 16th century, the Statutes of Lithuania, which are regarded as the first codified pieces of legislation in Europe, granted some rights and freedoms to noblewomen. At the start of the 20th century, women of Lithuania participated actively in the processes of state restoration. The 1918 Provisional Constitution guaranteed voting rights to women. The newly-granted rights were exercised in 1920 during the first parliamentary election to the Constituent Assembly (Steigiamasis Seimas). Its first session was chaired by a woman – writer, political and civic activist Gabrielė Petkevičaitė-Bitė. In 1926, two women ran for President of Lithuania. On 11 March 1990, Lithuania restored its independence after a 50-year-long Soviet occupation. 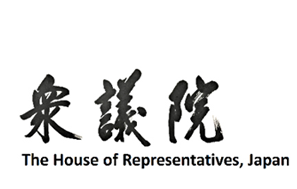 The Act on the Re-establishment of Independence bears 124 signatures. Eleven of the signatories were women. Subsequently, the 1992 Constitution of the Republic of Lithuania, which is still in force, consolidated equality between women and men. In 1998, the Seimas adopted the Law on Equal Opportunities for Women and Men. On 15 September 2009, Irena Degutienė became Speaker of the Seimas, the parliament of Lithuania. She is the first woman to hold such a position in Lithuania’s history. Currently, the Speaker of the Seimas is Viktoras Pranckietis. Vilnius is also home to the European Institute for Gender Equality (EIGE), which is a partner in organising the WPL Summit. You are invited to be part of a global event, highlighting women’s empowerment and potential.